Former President Barack Obama waded into California's Democratic primary for U.S. Senate on Friday, throwing his support to incumbent Dianne Feinstein. SACRAMENTO, Calif. (AP) — Former President Barack Obama waded into California's Democratic primary for U.S. Senate on Friday, throwing his support to incumbent Dianne Feinstein. It's his only primary endorsement in congressional races so far in 2018, his spokeswoman Katie Hill said. He urged Californians to return "one of America's most effective champions for progress to the Senate," in a statement released by Feinstein's campaign. Feinstein is seeking her fifth full term in Washington and her most credible challenger is state Sen. Kevin de Leon, who argues she hasn't done enough to stand up to President Donald Trump. On Friday, he seized on fresh comments she made to the Sacramento Beeabout Trump's upcoming meeting with North Korean leader Kim Jong Un. The state's June 5 primary will send the two highest vote getters to the general election, regardless of party. No prominent Republicans are running. A spokesman for De Leon, Jonathan Underland, said the campaign has a "great deal of respect" for Obama and said the endorsement is likely a reflection of the pair's time working together in Washington. "Luckily the deciding votes in this race are in the hands of the people of California, not Washington DC," he said. Obama and Feinstein have worked together for a dozen years, first during his brief time in the U.S. Senate then during his presidency. 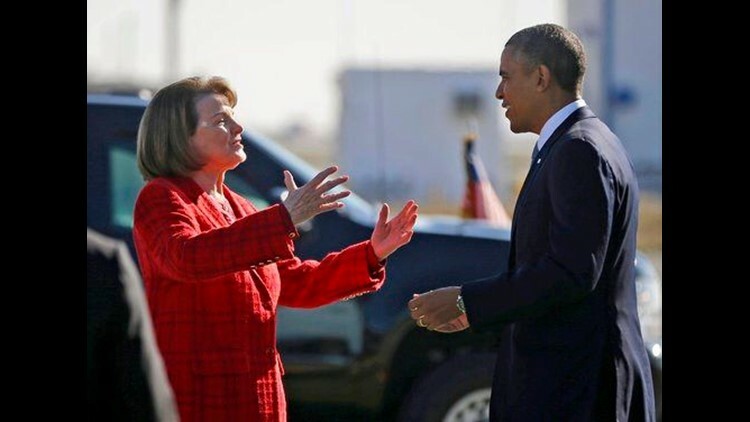 Feinstein supported Hillary Clinton in the 2008 presidential primary, and after Obama secured the nomination Feinstein provided her Washington, D.C., home for a brief meeting between the two. Feinstein later served as the chair of Obama's first inaugural ceremony. Obama, in his statement, cited their work together on affordable health care, climate change and gun control. He backed Feinstein in her last race, in 2012, but she was not facing a credible Democratic party challenger. On North Korea, Feinstein told The Sacramento Bee a meeting between Trump and Kim would offer him a chance to "really show that he can be consistent, stable, a good negotiator." She said she believes Trump is smart enough to know he must use caution in dealing with Kim, whom she called "craven." But she acknowledged such a meeting "could go badly." De Leon slammed her response, telling the Bee "Trump has proven consistently that he's inconsistent, unstable and one of the worst negotiators we have ever seen."